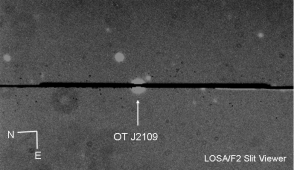 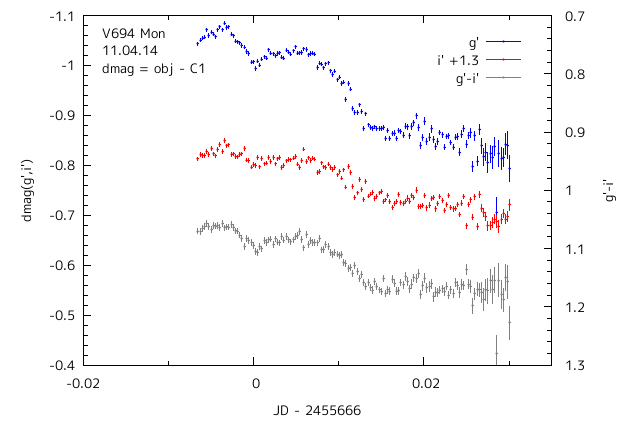 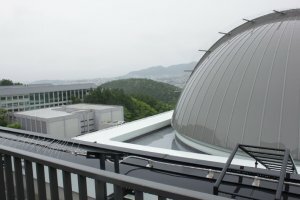 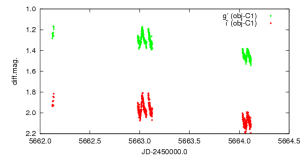 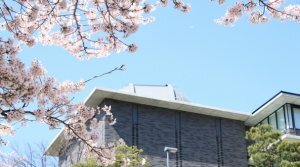 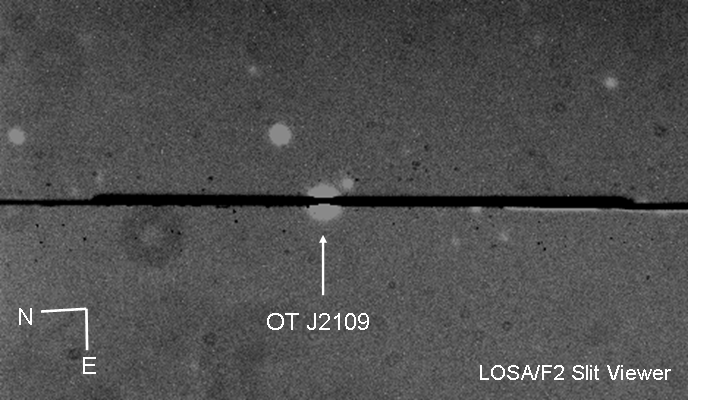 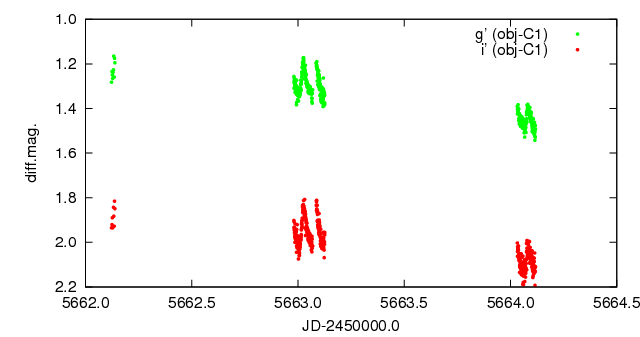 We performed spectroscopic observations of Possible nova in Sco (PNV J16551100-3838120 located at Ra=16:55:11.0, Dec=-38:38:12.0) using 1.3-m Araki telescope with LOSA/F2 on June 02.68 under a hazy sky. 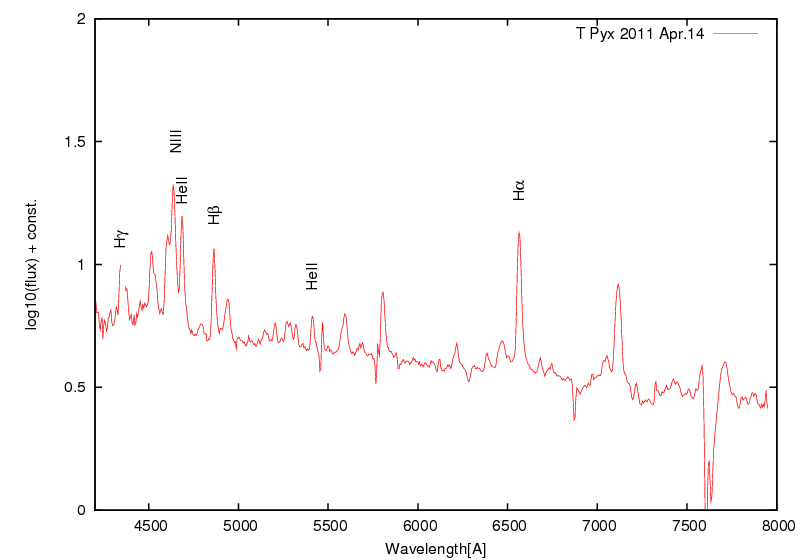 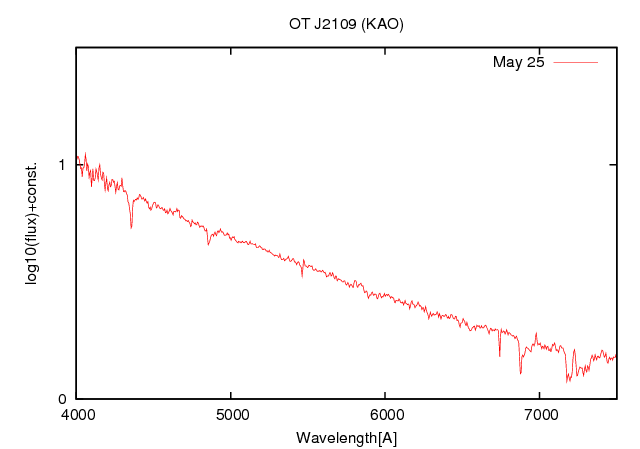 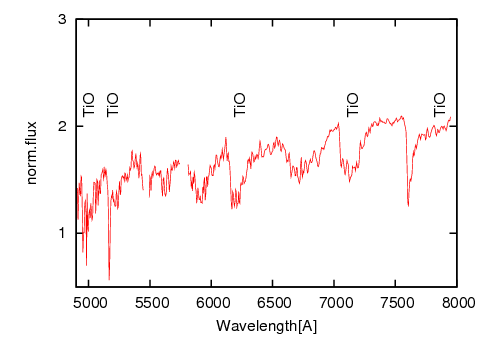 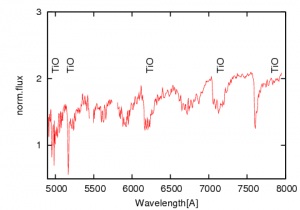 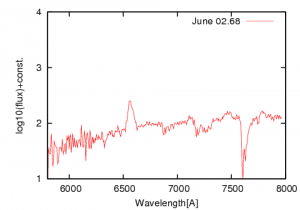 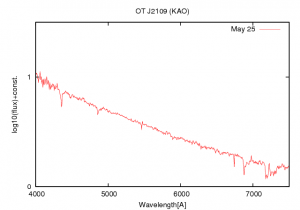 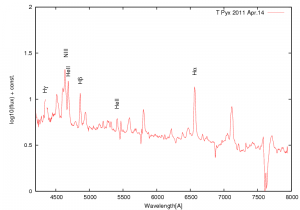 Our spectrum shows broad H-alpha(FWZI ~ 4600 km/s) and O I(777.4nm) on a reddened continuum light. 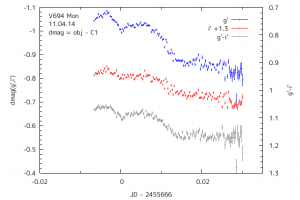 No visible He or Fe II lines exist in our spectrum.